Can Police Stop You for Driving on the Improved Shoulder of the Road? Jose Cortez was stopped because a Texas State Trooper allegedly observed him driving on an “improved shoulder” in violation of Texas Transportation Code § 545.058. The officer testified that Cortez touched the white “fog” line of the road and crossed it twice. During the ensuing stop, the trooper searched Cortez’s vehicle and found drugs. Cortez moved to suppress the stop (and the search) arguing that the officer lacked probable cause to initiate the stop. What is Driving on the Improved Shoulder? 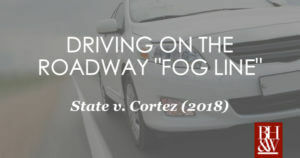 In this case, the trial court determined, after careful review of dashcam footage and officer testimony, that Cortez did not appear to touch the fog line, and that even if he did, that was not a violation of the law. The courts also reasoned that if Cortez did cross the line, he was doing so to let the officer pass and to exit the highway, both reasons justified by the statute. 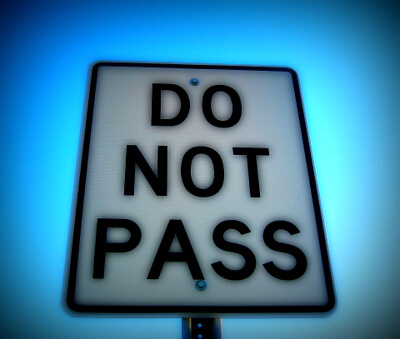 The court of appeals affirmed the trial court’s suppression of the stop. The Texas Court of Criminal Appeals agreed and affirmed the lower court’s ruling. What Does This Mean for Texas Drivers? First, it is not illegal to touch the white line of the shoulder under Texas Transportation Code § 545.058. If you are pulled over for this, the courts have determined this is not a violation of the law and does not provide a reasonable basis for an officer to pull you over and search your vehicle. Second, if you do cross the white line, that is not necessarily a violation. If one of the acceptable reasons above is present, then it is permissible to cross the shoulder line and the police will not have a reasonable basis for stopping you and should not stop you or search your vehicle. 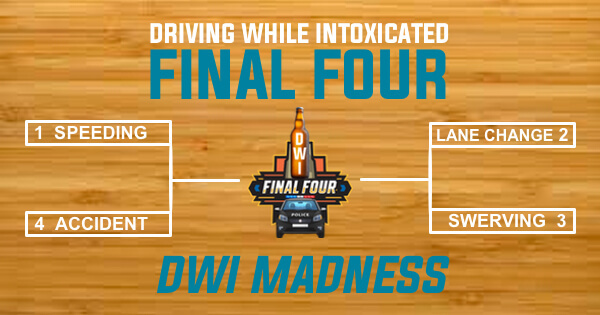 Overall, you should pay close attention when you are driving. But the courts have acknowledged that it is nearly impossible to drive in a perfectly straight line. The police do not automatically have a reasonable basis to stop you if you cross the white line, and they have NO basis for stopping you if you merely touch it. However, as we have always said, if you are stopped, be polite, be courteous, and do not consent to any searches. 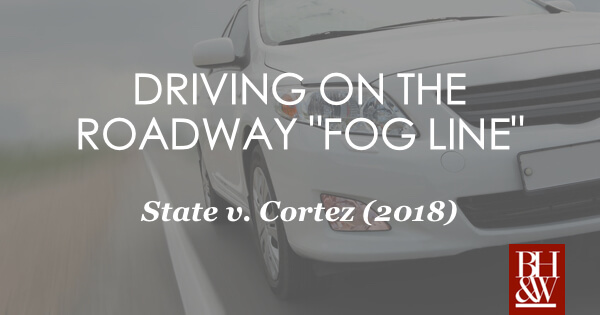 NOTE: Presiding Judge Keller dissented in this case and would hold that driving on the white fog line does constitute driving on the improved shoulder in violation of the transportation code. At approximately 9:00 p.m., San Antonio police officer Christopher Connelly and his partner observed Shamar Johnson “pacing” on the sidewalk in a dimly lit area near two gay clubs. Officer Connelly’s testimony differs from Johnson’s in some respects, but there is general agreement on the relevant facts. The area was known for gay prostitution. Based on their belief that Johnson had no reason to be loitering in the area, Officer Connelly and his partner pulled up to Johnson in their car, exited the vehicle and began questioning Johnson. When Johnson saw the car, he stopped. According to Officer Connelly, Johnson appeared to be nervous and put his hands in his pockets. Johnson said that the presence of the officers on either side of him was intimidating. Officer Connelly instructed Johnson to put his hands on the patrol car and asked Johnson if he had anything illegal in his possession. Again, Johnson said that he did not believe he could leave and had to do exactly what the officers said. Johnson told the officers they could search him. The officers found a plastic bag containing cocaine and arrested Johnson. Johnson moved to suppress the evidence the officers found because the detention and search were unlawful. The trial court found Officer Connelly’s testimony “credible” and denied the motion to suppress. Johnson subsequently struck a plea bargain and pled no contest to the charge of possession of a controlled substance. Johnson appealed the trial court’s decision. Consistent with the standard for reviewing a trial court’s action on a motion to suppress, the Court of Appeals deferred almost entirely to the trial judge, who was in the best position to assess credibility of witnesses, regarding the facts of the case, but made its own determination regarding how the law applied to the facts. In a four-step analysis, the Court of Appeals found the officers’ encounter with Johnson constituted an unlawful seizure and the motion to suppress should have been granted. (1) Both sides agreed that the officers’ encounter with Johnson was not consensual. The State admitted there was no support to argue the search was consensual. 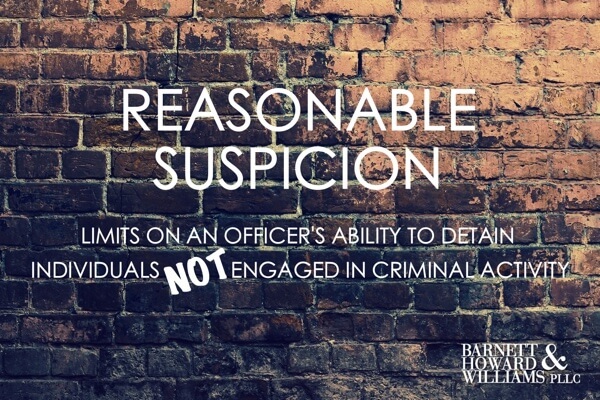 (2) The state argued the officers’ detention of Johnson was based upon reasonable suspicion, which requires the existing of specific facts leading an officer to conclude that a person has committed or is about to commit a crime. The State cited the facts that Johnson was in a dimly lit area known for male prostitution and Johnson’s “loitering” looked like someone who was engaged in prostitution. 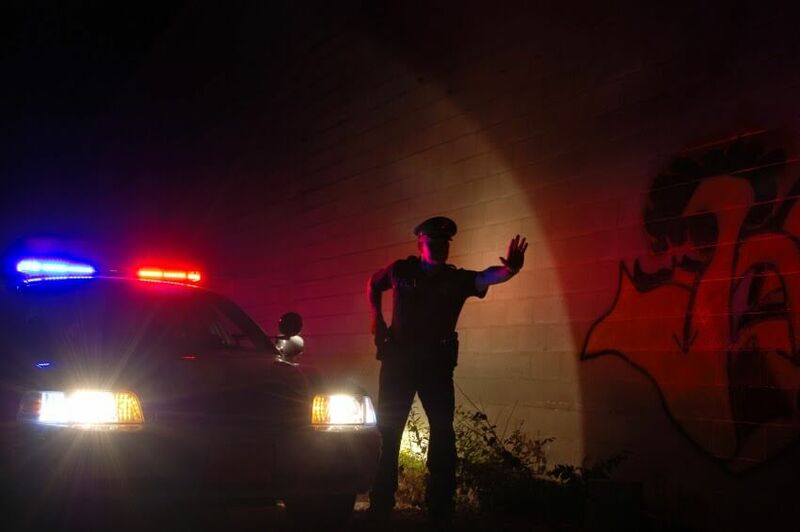 The Court of Appeals disagreed, concluding that being present in a dimly lit area, even an area known for prostitution, does not provide reasonable suspicion that an individual is a prostitute. Because the officers had no reasonable suspicion to detain Johnson, Johnson’s detention was a violation of the Fourth Amendment. (3) The Court considered whether Johnson’s consent to search was an act of free will. The court noted the consent occurred shortly after Johnson was told to place his hands on the car and there were no intervening circumstances to lessen the “taint” of the improper detention. Although nothing indicated the officers intended to commit an unlawful detention, the Court found Johnson’s consent was not an exercise of his free will and therefore did not remove the taint of the unlawful detention. (4) After determining the trial court should have granted the motion to suppress, the Court of Appeals considered whether that error made any difference in Johnson’s punishment. Although Johnson accepted a plea bargain rather than go to trial, the Court of Appeals believed the denial of the motion to suppress gave the State leverage in the process and may have contributed to Johnson’s giving up his right to a trial in order to obtain a favorable punishment recommendation. Many people believe they are required to cooperate in any encounter with police until the police officers terminate the encounter. However, Johnson v. Texas makes it clear police officers do not have unlimited authority to detain an individual unless they have a reasonable suspicion that a crime has been or is about to be committed. 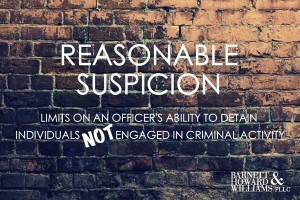 While police officers may see reasonable suspicion where others would not and trial courts may agree, higher court decisions have set a standard for reasonable suspicion which limits police ability to detain citizens who, like Shamar Johnson, just appear to be in the wrong place at the wrong time. 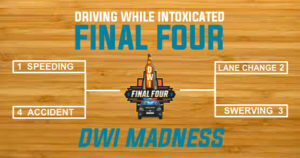 DWI: Is Passing on the Shoulder Evidence of a Traffic Offense? In many ways, Texas Court of Criminal Appeals also acts the State’s highest traffic court. What follows is a synopsis of Lothrop v. State, wherein the CCA opines on the legality of using the right shoulder of a road to pass a slower vehicle. [T]he offense of illegally driving on an improved shoulder can be proved in one of two ways: either driving on the improved shoulder was not a necessary part of achieving one of the seven approved purposes, or driving on an improved shoulder could not have been done safely. Merely driving on an improved shoulder is not prima facie evidence of an offense. Thus if an officer sees a driver driving on an improved shoulder, and it appears that driving on the improved shoulder was necessary to achieving one of the seven approved purposes, and it is done safely, that officer does not have reasonable suspicion that an offense occurred. With that, the CCA reversed the Court of Appeals and remanded the case back to the trial court. So there you have it – your traffic lesson for today from the CCA. You are free to drive on the improved shoulder of the road (without worrying that you will be pulled over) IF you are doing it safely and for one of the seven listed purposes. 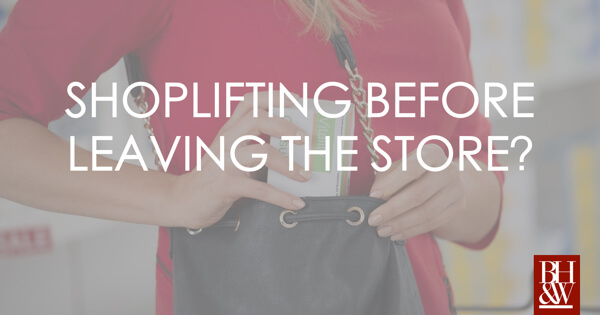 When a probable-cause affidavit describes a “controlled purchase” that was performed by an individual whose credibility or reliability were unknown, is that (or can it be) sufficient to sustain a probable-cause determination? The Court of Criminal Appeals said YES in Moreno v. State. Moreno v. State: After receiving a tip from the Clovis, New Mexico Police Department that Appellant, Dimas Moreno, was distributing narcotics from his home, the Lubbock police department orchestrated a controlled purchase of drugs from Appellant. Officers enlisted the help of a confidential informant (“CI”), who was familiar with cocaine deals, to purchase crack cocaine from Appellant. The CI approached an unknowing participant in an effort to purchase the crack cocaine. The individual told the CI that he would go to Appellant’s house to pick up the crack cocaine. Police observed the individual go to Appellant’s house, enter, and exit a few minutes later. The unknowing participant then drove to the predesignated location and delivered the crack cocaine to the CI. On the basis of these facts, a magistrate issued a warrant to search Appellant’s residence for crack cocaine and any other related contraband. After executing a warrant, police found the drugs and arrested Appellant. Appellant was subsequently charged with possession with intent to deliver a controlled substance in an amount of four or more but less than 200 grams. Appellant filed a motion to suppress, challenging the sufficiency of the affidavit. He claimed that there could be no probable cause when an affidavit describes a controlled purchase in which an unidentified individual of unknown credibility and reliability purchased the drugs. The trial court held a hearing and denied Appellant’s motion. Appellant preserved his right to appeal, pled guilty and was sentenced to fifteen years’ confinement. The court of appeals affirmed, concluding that the affidavit was sufficient because probable cause was based upon police observations rather than upon any statements made by the unknowing participant. 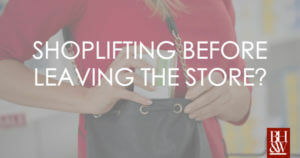 In this case, the court of criminal appeals held that the police observations of the controlled purchase and the reasonable inferences therefrom were sufficient to support a finding of probable cause. It was reasonable for the magistrate to infer that the unknowing participant obtained the crack cocaine from Appellant’s house based on “common-sense conclusions about human behavior.” While it was possible that the third party obtained the cocaine from another source, Appellant presented no persuasive argument as to why the magistrate’s inference was unreasonable or whether the unknown participant had a motive to mislead the police. Therefore, the judgment of the court of appeals was affirmed. If you or a loved one were the subject of an unconstitutional and illegal search, seizure, or arrest, please contact us today for a free consultation of your case. Back in 2010, we posted about Mahaffey v. State, a case in which the CCA directed the 12 District Court of Appeals (Tyler) to determine whether a “lane merge” is a “turn” under the Texas Transportation Code, such that it requires a driver to signal. 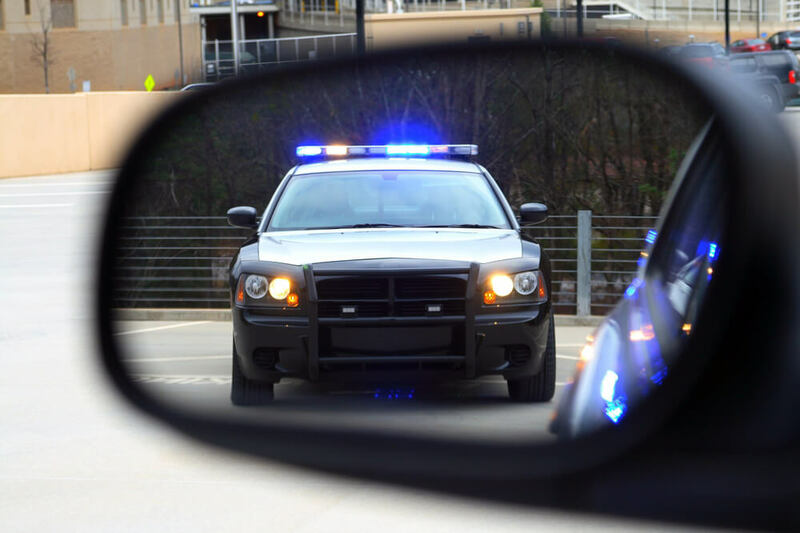 If a “merge” does not require a turn signal (as the appellant failed to do in this case), then the police stop was improper (without reasonable suspicion) and the evidence of his DWI gained from the stop should have been suppressed. The 12th Court took another look at the case and once again determined that a “merge” was a “turn” and thus required a turn signal. Apparently, the 12th Court did not get the CCA’s hint the first time around. We disagree with the State’s contention that the termination of a lane does not affect whether a driver changes lanes under the signal statute. 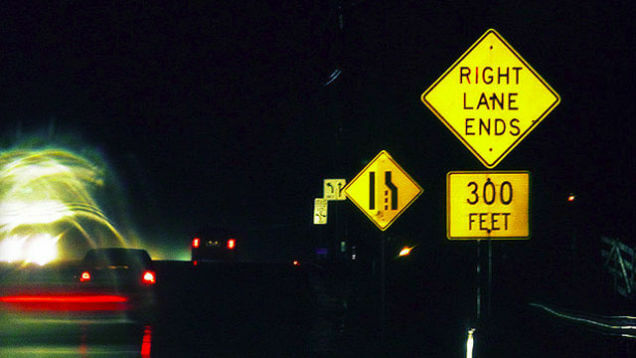 As a practical matter, “changing lanes” requires the existence of more than one lane: In order to change lanes from Lane A to Lane B, Lane A must exist. Appellant did not change lanes. The two lanes became one. …[N]o signal is required when two lanes become one. Presiding Judge Keller dissented and was joined by Judges Price and Keasler. She would hold that because Appellant’s lane ended, he had to change lanes, and that changing lanes requires a turn signal. Well, it looks like logic prevailed in this one. You cannot change lanes if there is only one lane in which to drive. The majority got it right here. No signal is required for a lane merge. Remember that if a police officer tries to pull you over for failing to signal.